Perfectly located in the center of Lyon, the three-star Campanile Lyon Centre – Gare Perrache – Confluence is a great accommodation choice for both leisure and business travelers. Guests can travel with ease towards the new Lyon confluence business hub, using the hotel as a perfect base. The hotel boasts excellent transport links, being less than 50 meters away from the Perrache railway station and 20 kilometers away from Lyon Saint Exupéry Airport. For those traveling by car, the Paris-Marseille junction of the A6 and A7 highways provide access to the area. Quickly get to the exhibition center, just over five kilometers away. Notable attractions include the historical Le Vieux Lyon, which is categorized as a UNESCO World Heritage site, and popular restaurants such as ‘Bouchons Lyonnais’. Guests can choose from 87 well-equipped and air-conditioned rooms at the hotel which can sleep between one and four people. Every room features amenities such as an en suite bathroom with a bath or shower, a hairdryer, a TV, a work area, and complimentary tea and coffee-making facilities. There are also facilities for those with reduced mobility and free Wi-Fi access in all rooms. For breakfast, lunch, and dinner, guests can explore the vast choice of local eateries available. Central Lyon boasts an extensive array of popular restaurants, featuring tastes from around the world as well as traditional local cuisine. Business guests are well catered for as the hotel provides three well-lit meeting rooms measuring between 38 and 54 square meters and seating up to 35 people. Free unlimited Wi-Fi access is available. The rooms feature a projector, telephone, flat screen TV, DVD player, and a flipchart. Ideal for both leisure and business stays, Campanile Lyon Centre – Gare Perrache – Confluence is a great choice. 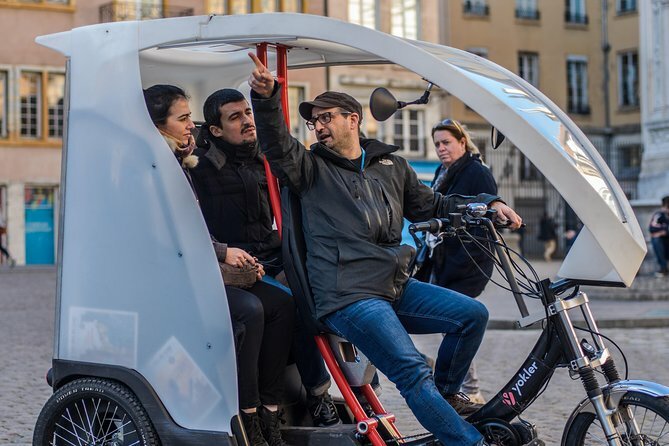 Visit top Lyon attractions and get a taste of France’s culinary capital on this electric bike tour, a nearly effortless way to sightsee. 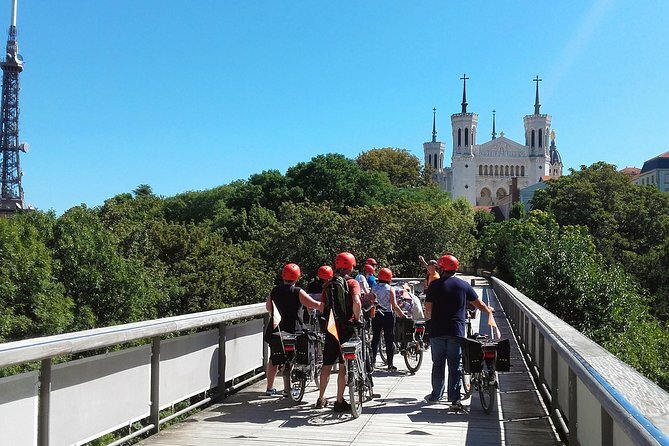 Exploring Lyon’s UNESCO World Heritage with a guide, ride along the Rhône and Saône River and through the Golden Head Park, spin through Place des Terreaux, and break at a local eatery to enjoy regional specialties. You could enjoy either a platter of cold cuts and cheeses with a glass of wine or a home made cake with refreshments or hot drinks regarding the partner, the hour and the day of your visit. After this tasting break, go to visit the must-see Basilica of Notre-Dame de Fourvière and admire the views of the whole city. Your group size is limited to 10 to ensure a more personalized experience. 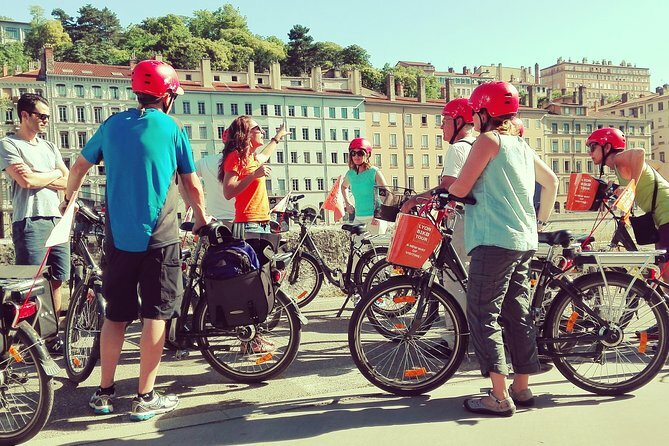 Visit Lyon in an original way. Comfortably sit in the back of my pedicab, let yourself be guided by me. I will spread you my passion for Lyon. 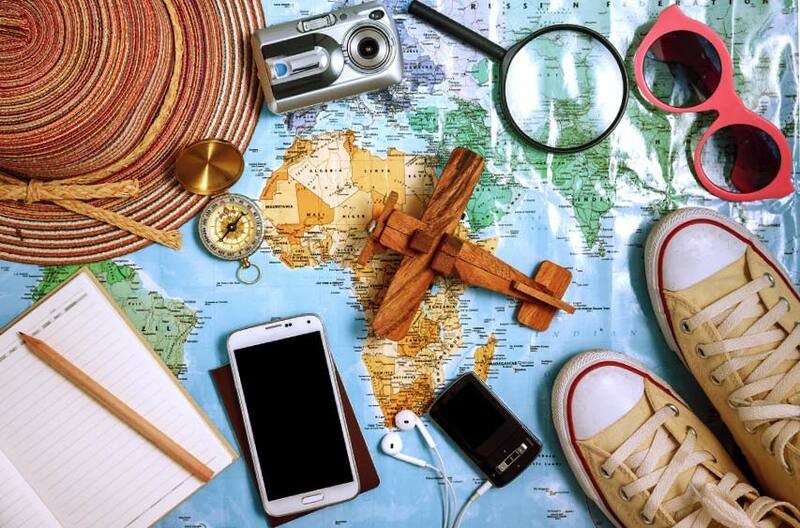 A unique journey that combines historical facts, good plans and friendliness.